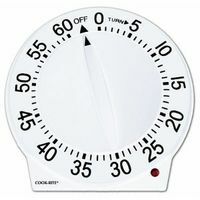 Kitchen timer: Multi-purpose tool of the gods! Tips for helping your kid part with toys he has outgrown. Heh heh. TMI for some of you, but I love that Amberlynn sent this in.